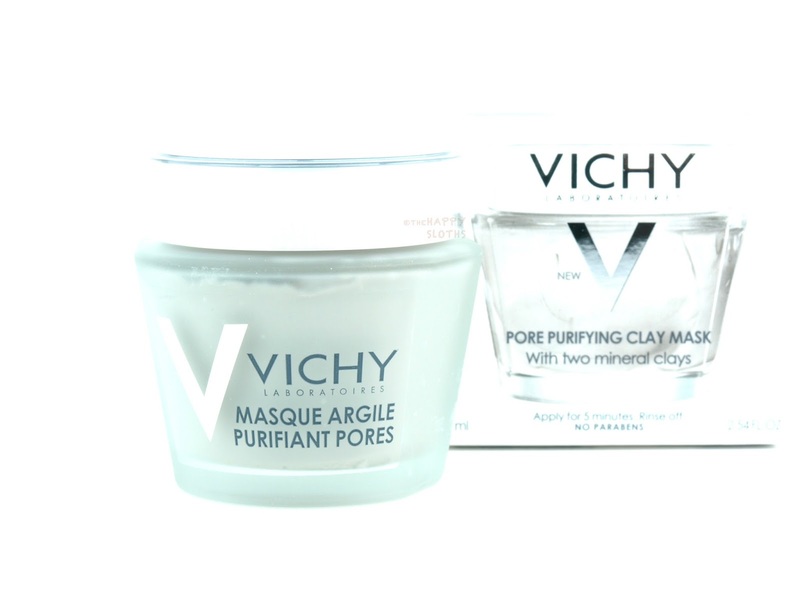 A soft clay mask made with both kaolin and bentonite clay, the Pore Purifying Clay Mask also contains soothing aloe vera juice. The mask is not super thick so it spreads nicely across the skin. It will not completely dry and harden so it won't dry out the skin but it is a tad difficult to remove. The mask is comfortable and calming on the face but it doesn't really provide any cooling or tingly sensation. 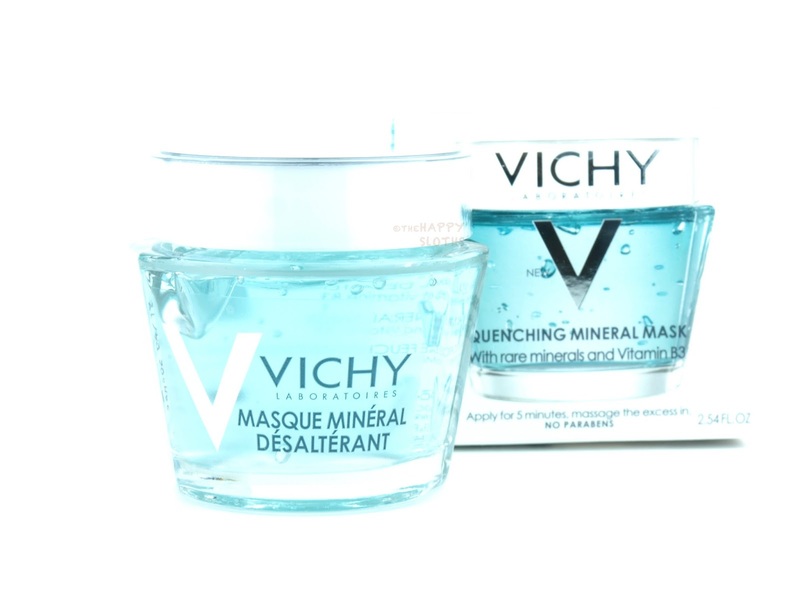 A gel mask that's very thin and light, the Quenching Mineral Mask is formulated with Vichy's mineral thermal water and vitamin B3. I'll admit that the mask feels like a dream on the face- super relaxing and extremely cooling, but it contains alcohol as its third ingredient. 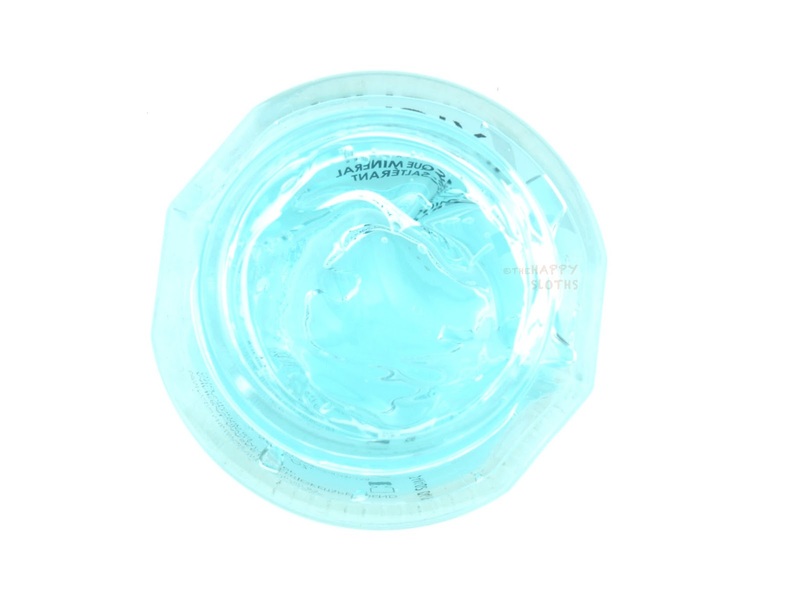 Although widely used in skincare, alcohol is quite the controversial ingredient. 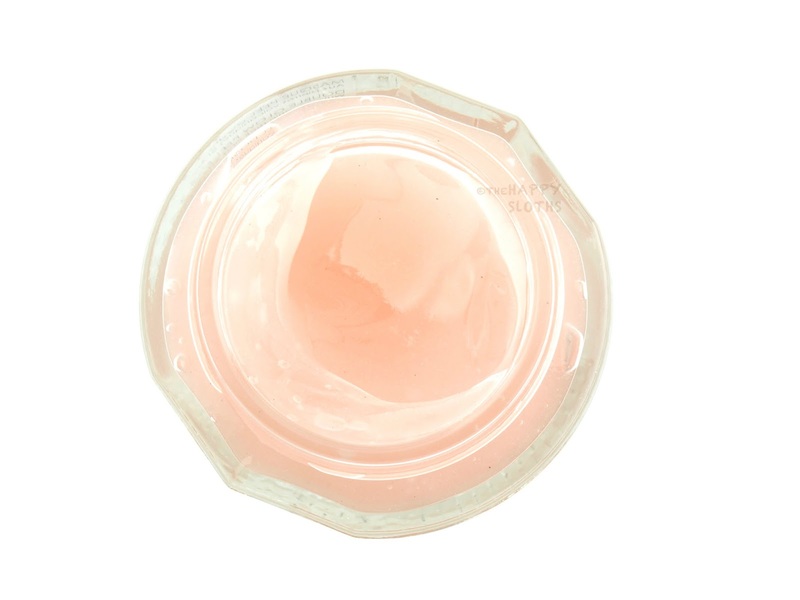 There seems to be a lot of differing opinions on whether or not the ingredient is drying and harmful when applied topically on the skin, especially in the long run. Nevertheless, I think this is a really great mask for a short self-pampering session. 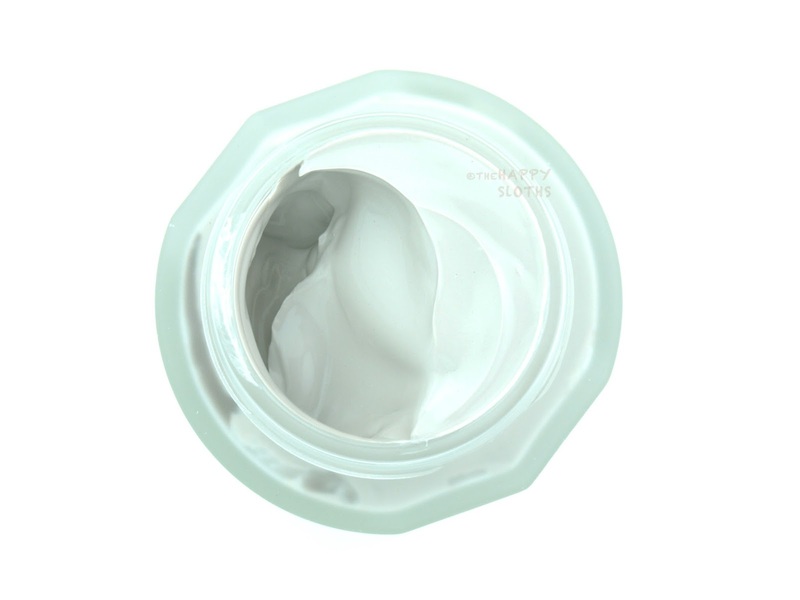 It leaves the skin feeling refreshed and plump. 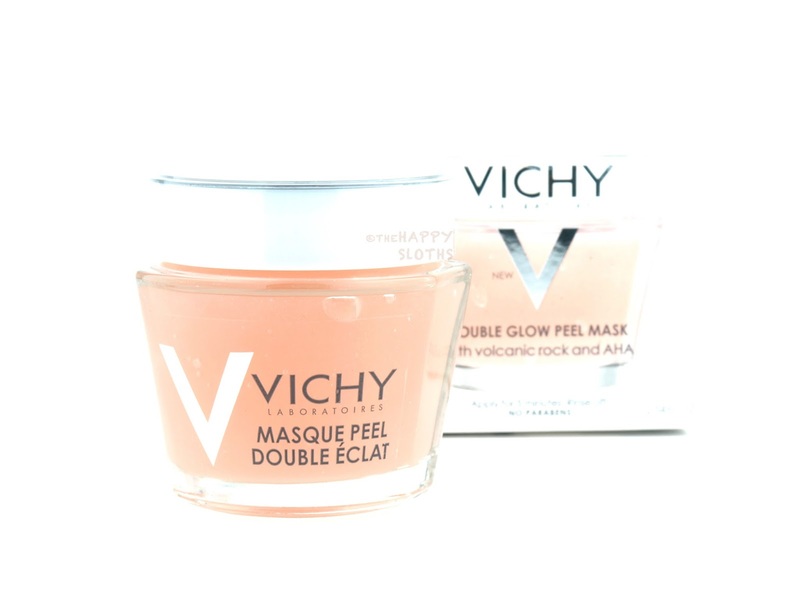 With fruit-derived AHA acids that gently exfoliate the skin, the Double Glow Peel mask has a very lightweight, gel-like texture with a pleasant fruity scent. The mask also contains volcanic rock particles designed to mechanically exfoliate the skin but they are honestly too fine and sparse to actually do anything. The mask feels pretty tingly as the AHA works to melt away dead skin cells and my skin is left feeling and looking fresh and renewed. With that said, the formulation also contains alcohol (second ingredient on the list), something that you may want to look out for. 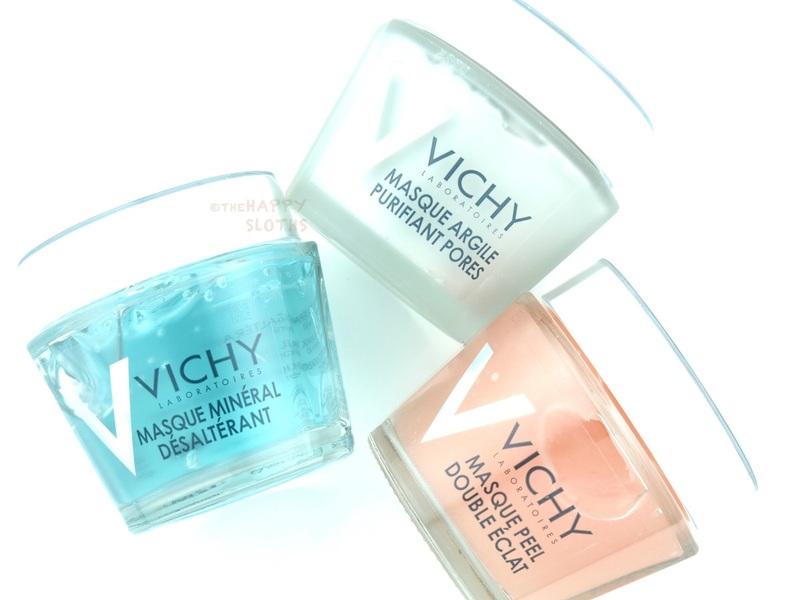 Vichy is available online at Vichy.ca and in stores at London Drugs and Shoppers Drug Mart.